Twigs burn hot, are readily available, and leave behind nothing but fine ash. 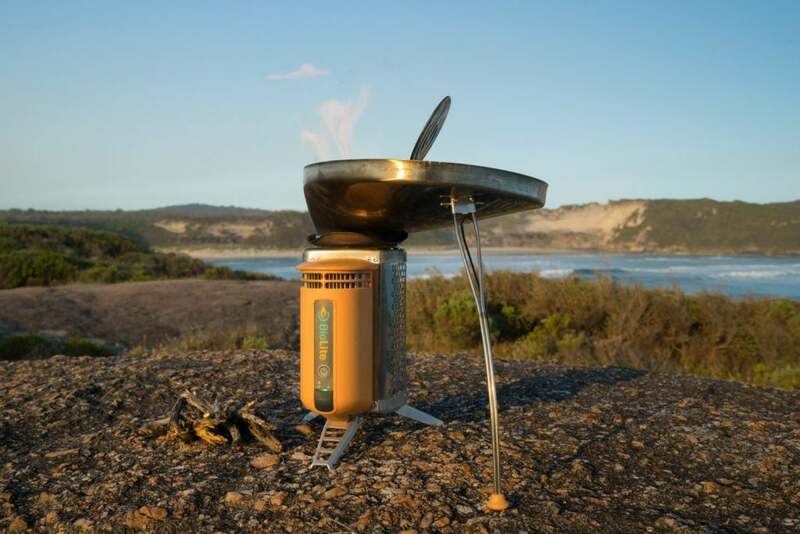 With the CampStove BioLite have created a clever clean burning stove that runs on twigs. 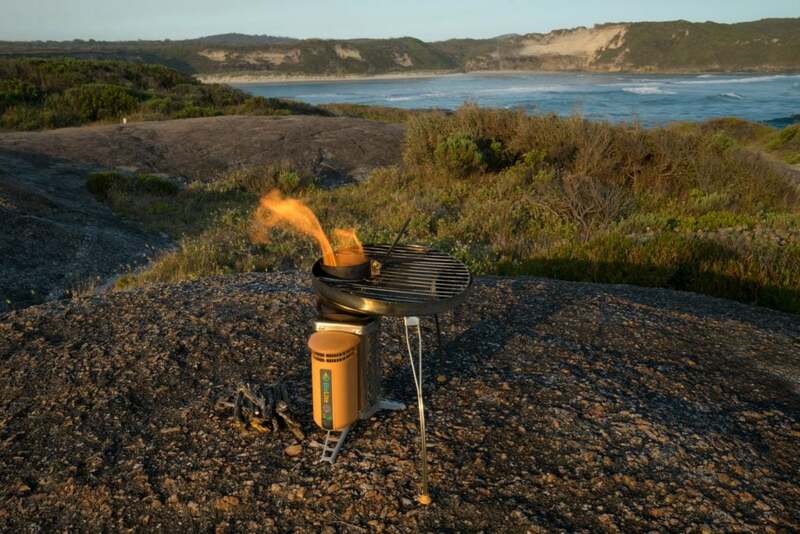 Their trick is a copper probe that supplies heat to a thermoelectric generator which powers a fan, the key to clean burning. It sounds complicated, but it works. 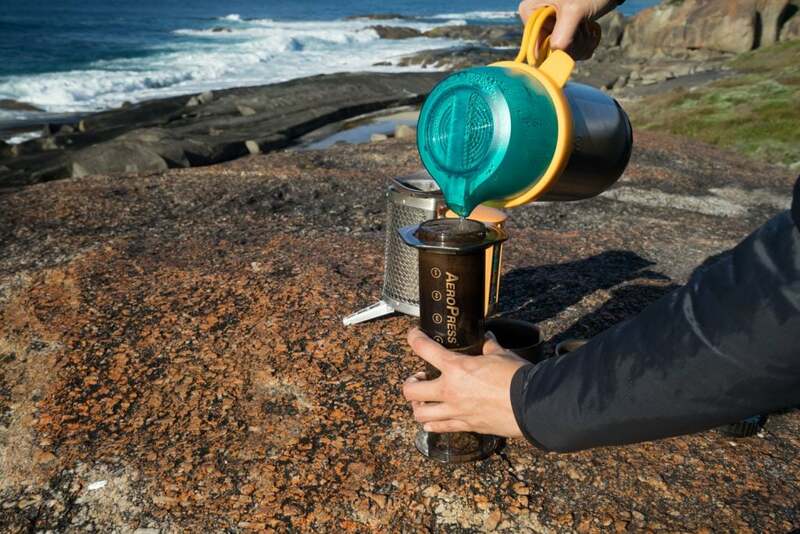 The KettlePot is really cleverly designed. It’s actually surprising how quickly the water came to the boil, about the same time it took for Gen to grind the coffee. The handles make the full kettle easy to handle. 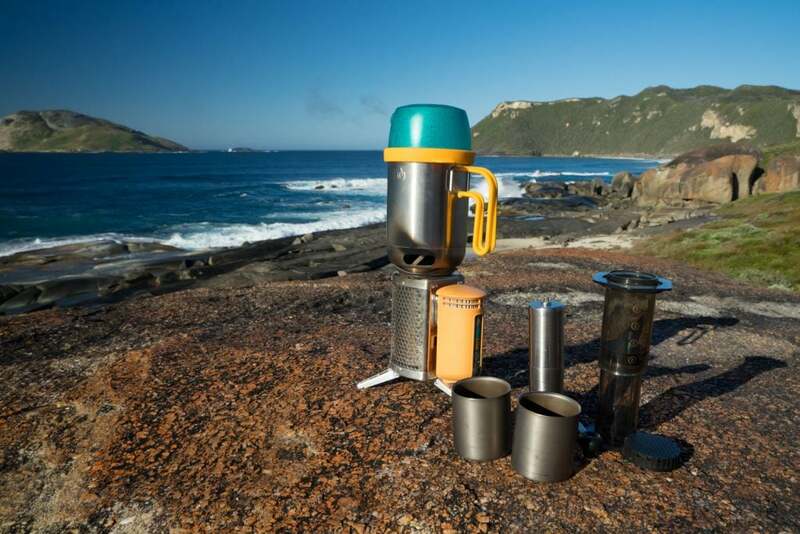 The stove snugly stores inside of the kettle making it a compact parcel. 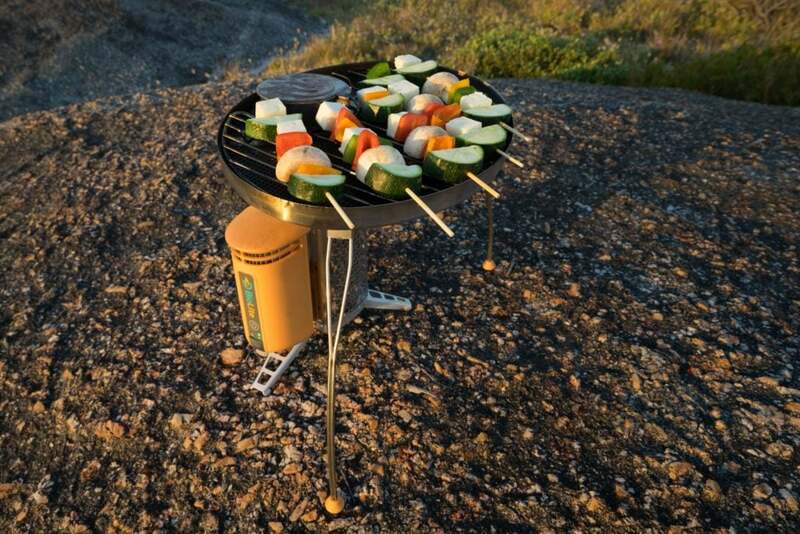 BioLite’s Portable Grill is a handy option. 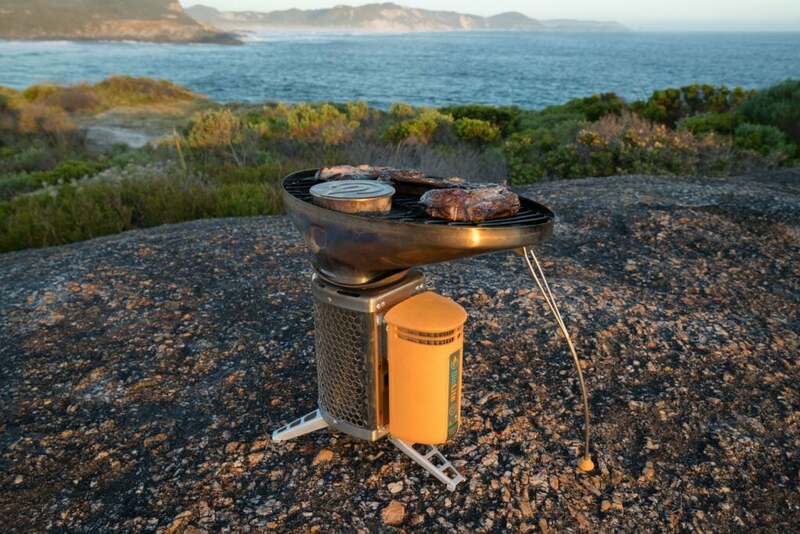 It’s great for a quick BBQ lunch, and although we wouldn’t hike with it, it would slide perfectly in to our canoes and sea kayaks. Fresh fish – grilled – we’ll share that picture when we catch one. 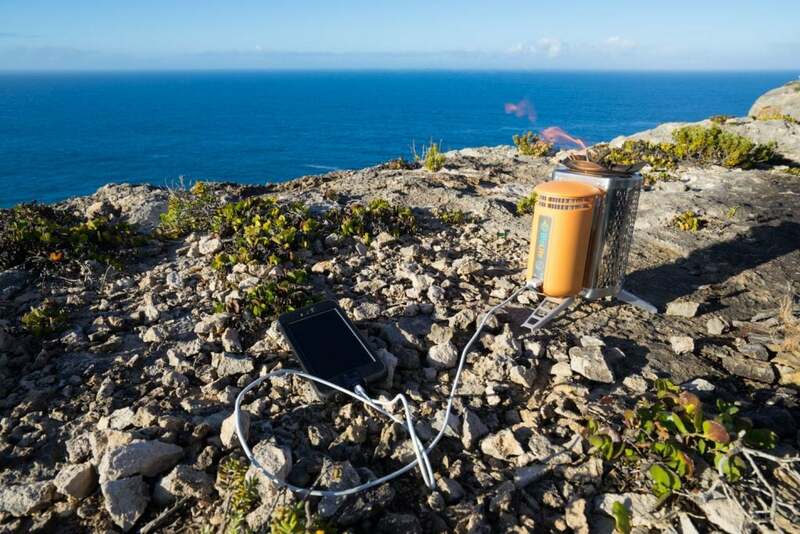 As well as powering the internal fan the thermoelectric generator produces additional power that’s accessible via USB out. 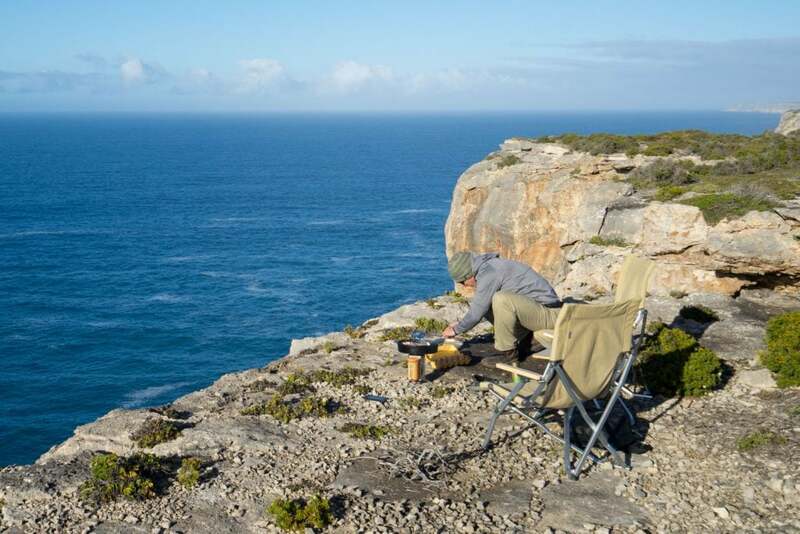 When we are on expedition without the 4x4s battery systems keeping our cameras and other tech charged is a real challenge. 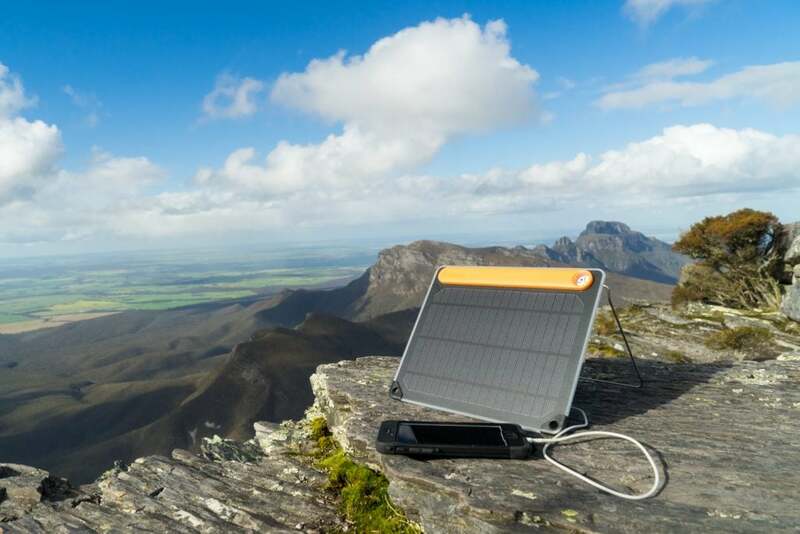 Solar panels work really well, but being able to pop a twig powered generator in our canoe or sea kayak as back up is pretty amazing. 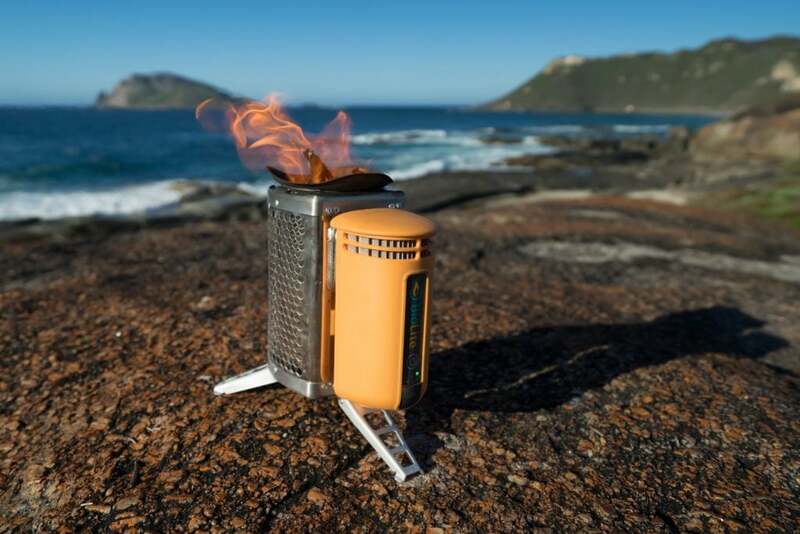 There is nothing more fun than cooking with fire and the CampStove puts the “quick and mini fire” in our hands – it’s so much fun!